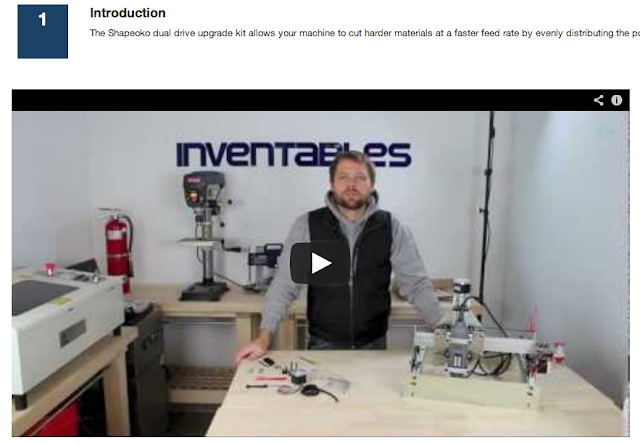 Inventables started selling the Shapeoko CNC Mill in April 2012. The response from customers has been humbling. The Shapeoko CNC Mill is part of an open source hardware project by Edward Ford hosted at www.shapeoko.com. In October of 2012 Inventables hired Edward. This is giving him more time to spend working on the project, advancing the Shapeoko, and also helping us add materials, components, and tools to our inventory. Our goal is to stock every material, component, and tool that you might need to build a product. That's a tall task but we believe if we accomplish it we will dramatically reduce the complexity of designing and building new products. You'll hear more about this later in the year. We have some very interesting things going on behind the scenes. Today we are launching something special for Shapeoko owners - the dual drive kit. The kit makes it easy to add a fourth motor on the Y axis of your Shapeoko so you can cut hardwoods and aluminum. 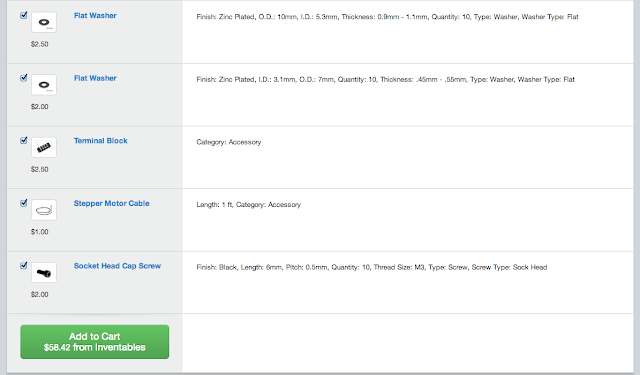 Edward has added all the components needed for the upgrade to our inventory and our software engineering team built a simple page that allows you with the click of 1 button to add it to your cart. We've also made it flexible so if you already have a component like the motor or the wire you can simply uncheck the box next to that item and it will automatically remove it from your shopping cart. Below the bill of materials Edward has created some instructions and short videos that demonstrate the process of how to modify your machine. You can order the complete kit for $58.42. In addition to improving your ability to cut hardwoods and aluminum it will also increase the precision of the machine. Just purchased a dremel trio, and I was wondering if it could be used for this, lo and behold, there's a guy on youtube, as cheap as me, that already went and done it! Do you think the extra torque of the Trio will allow for better Metal CNC fabbing? To be honest, I'm not sure about the trio. I've never used it personally, and I haven't seen it in action so it's hard for me to imagine how it would fit into the system. My guess, is that if you can somehow fit it to the machine, and it is indeed 'stronger' than a standard dremel, then yes. Although, with either a stronger dremel or a standard dremel, you will need to use the 'high speed machining' philosophy and keep your passes *very* light and very fast. Thanks for making this available, I think the idea to modularize upgrades is really great. 1) Is the kit compatible with all batches of the full/premium Shapeoko kits? Can the supplied GRBLShield handle an extra motor (2 motors, 1 driver), or does this require a driver upgrade? 2) The listed motor is 200 step/rev, but IIRC the motors supplied in the kits (at least in my batch - #2) are 400 step/rev. I'm assuming this won't be directly compatible with the existing Y-axis motor?